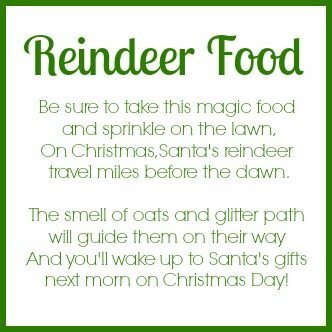 Christmas is such a fun and magical time of year. The best parts are those quiet moments you spend with family and friends enjoying all the season has to offer. 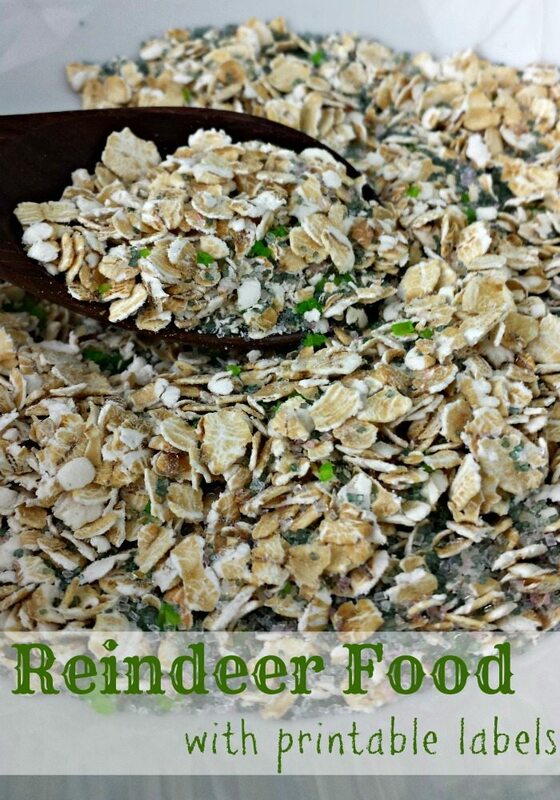 Making Reindeer Food is a fun project to do with the kids. It’s super easy to make. Small jar or other container – I love these cute test tubes that I got from Pick Your Plum, but you can also find them on Etsy. In a small mixing bowl, combine all the ingredients and stir. Carefully spoon the mixture into the jar and seal. It’s that easy! 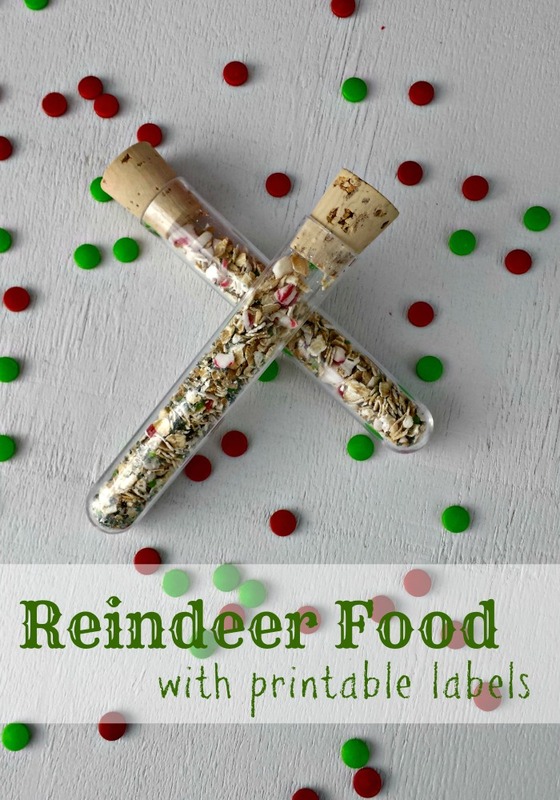 And so fun for the kids – so just print these little labels and you’ve got a fun Christmas Eve activity for the kiddos! There are 4 labels on the sheet, so make one for each kid, or share with friends. Cute idea! I remember we used to leave a carrot or two out. Mom I guess didnt think of oats to leave them!